The process of working with Cucumber was educational, inspiring and fun. They delivered on time and within estimate. We love our brand refresh - the new logo, website design, and other brand assets. We were impressed by the professionalism and creativity of the team and by the well-organized, thought-out process they followed. 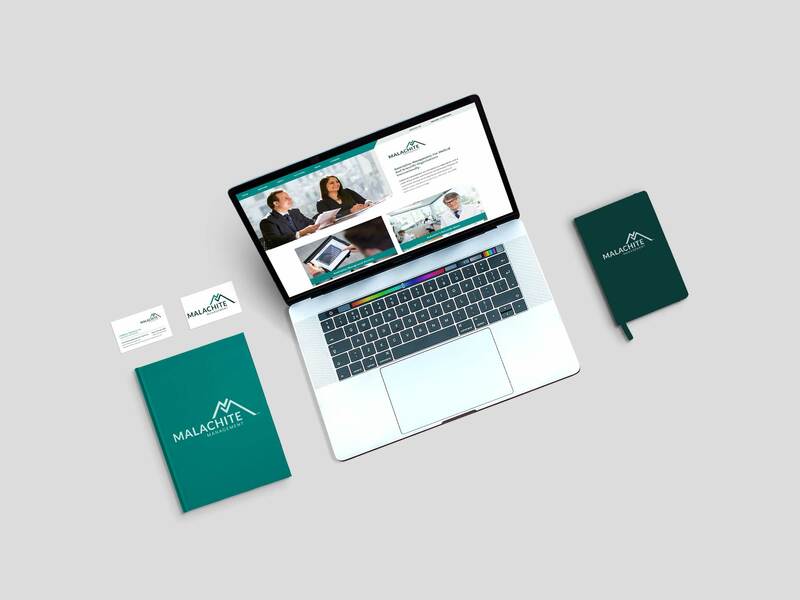 Malachite Management Inc. came to us as a mature company, with over 20 years of experience doing amazing work in the field of association management. They had a great reputation, consistently achieving outstanding results for their clients. The executive team knew, that while taking care of their clients was always their top priority, it was time to refresh their own brand, because that would refresh their customer’s experience, too. 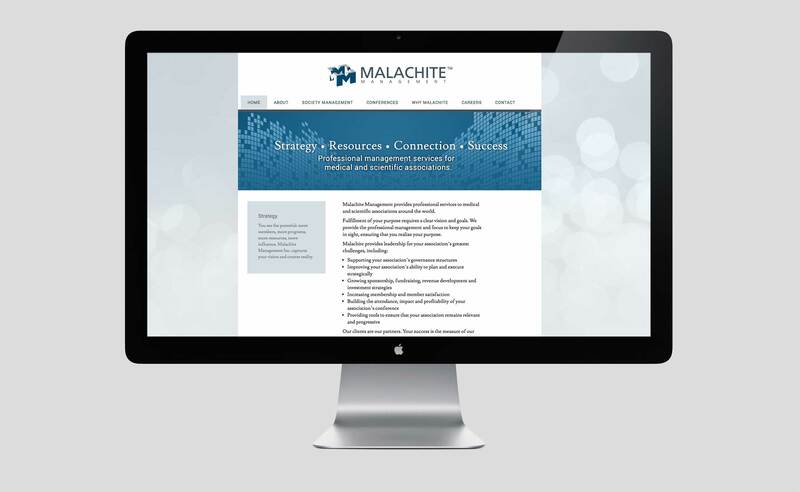 We were absolutely thrilled to be selected as the agency of choice by Malachite. We love it when established businesses—having been around for a while—make it their mission to stay relevant to their clients as the company grows. We believe that cool brands must grow and evolve along with the business, so we felt honoured and privileged to be invited into the process. Offering an inclusive and strategic marketing package was the way to go. 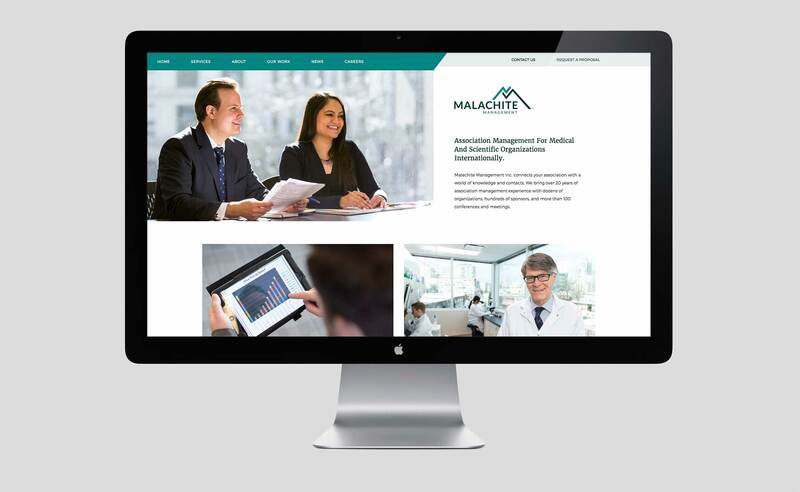 We knew that, “just a new website” or, “just a new logo” would be a short term fix and would not allow the company to really tap into the unique part of their business, the part that makes Malachite one of the leading association management companies in Canada and the US. With that, we kicked off our marketing strategy, including industry research, internal interviews, client surveys, and other strategic tasks that would provide the foundation and direction for the design. Once we finalized the strategy, we were ready to get creative! A logo redesign was in order and we jumped into our usual process – from sketches, to black & white, to finally a colour version of the new logo. 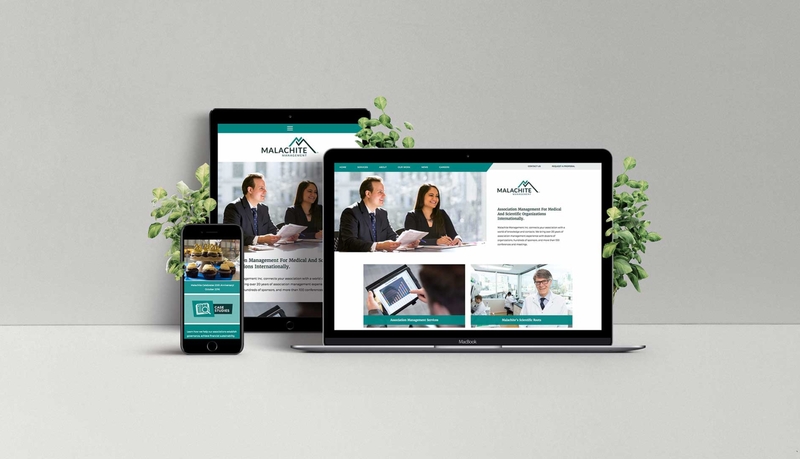 Once we finalized the visual aspects of the brand, we were ready to expand and start using the refreshed brand identity in the company’s marketing materials, including their new, responsive website and print ads. While the main research phase was done earlier, we still had a lot of work ahead of us—from content strategy to sitemap, wireframes, to design, coding and usability testing—a new website was born! 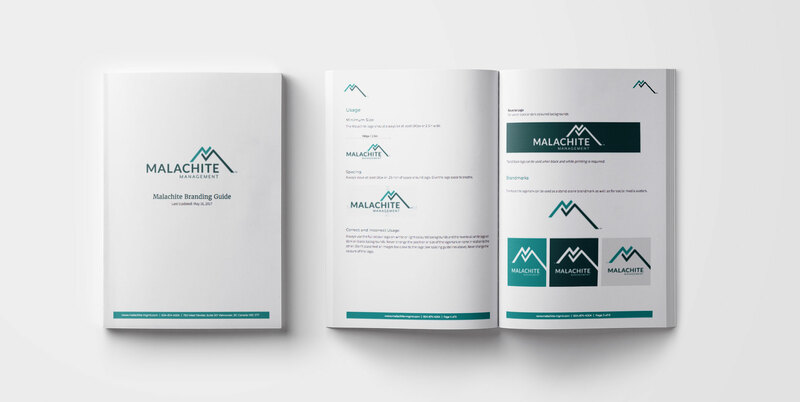 The project was completed with the user guides and brand guidelines, to ensure the refreshed brand and all the newly-created marketing assets stay polished and consistent, as Malachite embarked on the next phase of its journey! 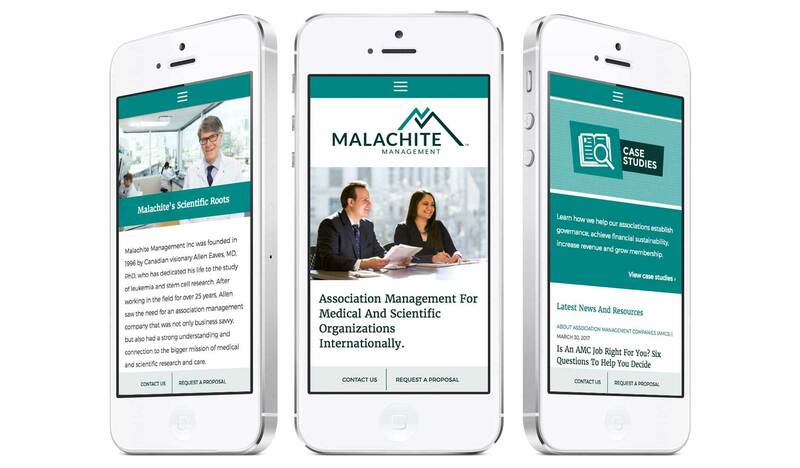 Thanks, Malachite Management, for growing with us!